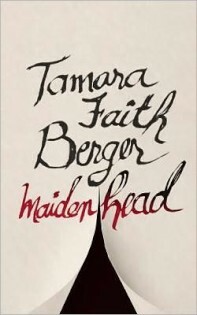 Toronto-based indie press Coach House Books is celebrating with author Tamara Faith Berger after her novel Maidenhead was chosen by the editors of San Francisco-based literary magazine The Believer for its 2012 Believer Book Award, as “the strongest and most under-appreciated” fiction book of the year. 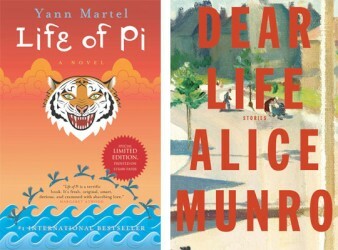 The shortlist for Canada’s biggest prize for fiction, the C$50,000 Scotiabank Giller Prize, was announced Monday morning in Toronto. The jurors — Irish author and screenwriter Roddy Doyle; Canadian publisher, writer, and essayist Anna Porter; and American author and satirist Gary Shteyngart — read 142 submissions from 51 publishers in Canada. They selected the five finalists from a long-list of 13 books. When Google’s eBookstore first launched in Canada in November, its retail partners were limited to a consortium of campus bookstores and the McNally Robinson stores. But a new deal between the Canadian Booksellers Association and the consortium known as Campus eBookstore has opened the door for independent CBA members to start selling e-books through the Google eBookstore immediately. The CBA said that Queen’s University’s bookstore and McNally Robinson tested the Google’s e-book solution for the past 18 months, going live in November. Since then, the CBA has worked with Chris Tabor, president of Campus eBookstore and director of Queen’s University Bookstore, to tailor a platform that meets the needs of independent booksellers. Anthony Van Alphen of Reads Books in Carleton Place, Ont., a member of the CBA tech committee, was the first to test it out from a small indie store perspective. Esi Edugyan’s novel Half-Blood Blues is this year’s winner of the C$50,000 Scotiabank Giller Prize, Canada’s richest prize for fiction. Although Edugyan’s book was also shortlisted for the Man Booker Prize, as well as Canada’s other two prominent fiction awards, the Governor General’s Literary Award and the Rogers Writers’ Trust Fiction prize, the Victoria- based author still said she didn’t really expect to win and hadn’t prepared a speech beyond a few scrawled notes. The Scotiabank Giller Prize, Canada’s richest prize for fiction, has a new democratic element. Readers now have an opportunity to vote for their favorite title. The C$50,000 prize has always been awarded by a jury from a shortlist drawn from books submitted by their publishers, and a few years ago, the prize began releasing a longlist. Now readers will be able to nominate their own choice from a list of all of the eligible titles published during the year. The book that gets the most votes will be given a place on the longlist. Elana Rabinovitch, director of the prize, says the primary intent of the prize has always been to bring Canadian literature into the spotlight. Over the prize’s 18 year history, organizers have seen that “people have an opinion, sometimes a very strong opinion about the books,” she said. They have also wanted an opportunity to see a list of all of the eligible books published in that year, and it was gratifying to be able to provide that, she said of the prize’s new “Crazy for CanLit” feature.